Aphasia Ireland is a registered charity, formed with the sole aim of creating awareness and support for sufferers and those around them. With your help, we wish to empower people with Aphasia to overcome the challenges and barriers that stand in the way of a normal happy life. To also help their partners, close family members or carers to manage the burden of care associated with Aphasia. To create awareness of what Aphasia actually is. To keep abreast of the latest developments in the management and treatment of Aphasia and pass that information on. To raise funds to develop and improve these services. 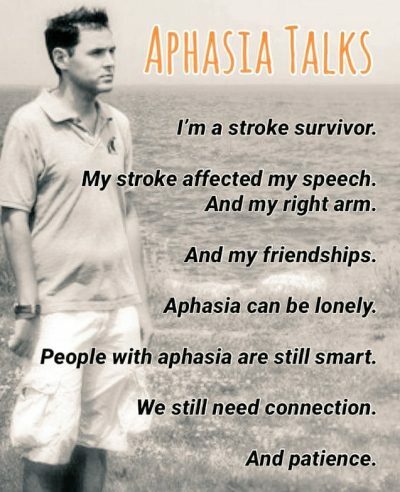 To spread awareness of aphasia and the challenges faced by those with the condition and their loved ones. To create a network of support groups, and to liaise with existing support groups and speech and language therapists to keep up with the current needs of aphasia sufferers. To secure funding to conduct vital research. Currently, there are no accurate figures on the number of aphasia sufferers in Ireland, their treatment outcomes or the psychological impact of their condition. Many thanks to everybody that was involved with Aphasia Ireland during our raffle time.